“Organic traffic” refers to any visitors your website receives that come about from searching for something related to your niche or product or for your business specifically, as opposed to having clicked on an advertisement. Search engine optimization (SEO) is based around attracting and cultivating organic traffic. Increasing traffic requires more than keywords and meta descriptions, however. There are several blogging tips that can help you further improve your rates of traffic and overall SEO profile. Focusing on trends or trying to cast your net too wide can do more harm than good in the long run. It is best to find your niche and develop your content within that space. On the Internet, any topic can have a surprisingly large audience so there’s no such thing as “too niche”. Another benefit of focusing on your niche is that it lets you develop deeper and more informative content. Dabbling usually ends up with a number of different posts all covering useful-but-basic information. The problem is that anyone who is interested in that information likely has a more in-depth site where they can visit. Focus on your niche and build yourself into that sort of in-depth authority. Once you’ve settled on a niche, it helps to look at other blogs on the same topic to see what’s being discussed. While this can be a helpful way to find popular topics you should stay aware of what isn’t being discussed just as much. The less common the topic, the more original your content will stand out. A certain degree of prudence is required when identifying uncommon topics. For instance, there is a reason there is not much of an audience for a “History of the Aglet” (the plastic thing on the end of shoelaces). However, there is probably a strong interest in “Ways to Purge Dog Doo From Your Shoe”. For another example, “Soap for Sensitive Skin” is highly populated while “Soap for When You’re Sprayed By a Skunk” is a more uncommon topic but one people would have a decided interest in. You are likely not the first person to blog on your particular niche. There are likely more established and influential blogs around that have high readership. A good means to building organic traffic is networking, and there are numerous ways it can be done. One such method would be to offer commentary or point-of-view articles and invite the blogger to provide their position or preference. Another is adding their blog in a “recommended for further reading” topic or something similar and them reciprocating. Building these sorts of shared links and references does require some diplomacy, but it can pay off with increased traffic. Broken link building: This involves finding broken links to your content on other sites and informing the administrators of the new address. While time consuming, the practice builds traffic and increases your authority and SEO presence. Broken link building is best done after your site undergoes a major change. Implied links: An implied link is simply when your brand is mentioned, even without a direct link being provided. This is a relatively new development on Google’s part but it will boost your SEO the more you are talked about. Simply grow your brand and establish a reputation to benefit from this form of linking. Image backlinks: Some blogs will benefit from this more than others, but it’s still a form of linking. When you share images on sites like Flickr or stock picture directories, you can embed a link back to the original content. This allows people who come across and are interested in your image to easily find your site for more, boosting your traffic in the process. A long tail keyword is a type of lengthier search phrase that represents a more specific query. Few people look for “hotels” as opposed to “affordable hotels in NYC” for instance. The overall search volume of long tail keywords is not as high as shorter terms, but they are more likely to result in organic traffic since they can be better tailored to. Long tail keywords can help make content accessible for local customers (e.g. “best breakfast spot in downtown Toronto”) or narrow in on specific queries (“what to do when sprayed by a skunk”). Social media has two main benefits when it comes to content distribution and promoting organic traffic. The first is that it provides an easy way for your audience to learn about what you are posting about. It is possible, for instance, to automate matters so that when you post a new piece of content on your blog an alert goes out to your followers. The second benefit is that social media lets you engage with your audience in a manner not normally possible on a blog. Through social media, your brand can talk, share, and comment like a real person. While there are downsides to being too casual, maintaining a proper balance lets you build trust in your audience. 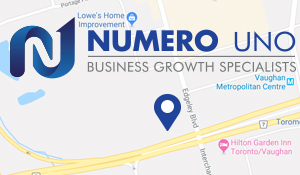 Numero Uno Web Solutions is a provider of search engine optimization, content marketing, and traffic building solutions to start-up and small companies from all industries and fields. We stay on the pulse of industry changes and adapt our practices to produce quality SEO, content marketing, and traffic building plans to fuel the growth of businesses across communities. Click here to learn more about growing organic traffic, different, SEO techniques, and how we can help improve your search profile.